Kitchen remodelling in the city of Los Angeles should be an exciting time. There will be stress and usually there are bumps on the road, however, with careful planning, a kitchen remodel can be a successful experience. Before jumping in and tearing a kitchen, first consider everything that needs to be done. New cabinets, flooring, and appliances can really add up in cost escalation. Think about the colours and the lighting features. After taking serious consideration of the kitchen remodel, it is time to work on a budget. You may not be able to purchase everything you want but you won’t know unless you set your spending limit and stick with it. Kitchen remodelling in Los Angeles usually includes new cabinets. While looking for new cabinets the most important thing is that they should be functional and roomy. Measure the space where the cabinets will go. You need to know how much space you have because that will tell you how many cabinets you must buy. If you are tearing out old cabinets that are in good shape, think about donating them to a charity. Once the cabinets are out, you’ll have to paint the walls and put in new flooring. These are simple ways to give an outdated kitchen a new look. If your budget is low but you are desperate for a kitchen update, there is an alternate option available. You can give your current cabinets a good washing with mild soap and water and then polish the wood with wood polish. Finally purchase new drawer and door pulls and a new kitchen faucet. Add a fresh coat of paint to the walls. These are inexpensive ways to spruce up your kitchen space without spending a lot of money or going over budget. 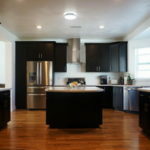 Kitchen remodelling in Los Angeles can be a long process that requires gutting a kitchen or it can be simple with just new paint and handles. Planning ahead, making lists, and then finalizing a budget are key points before the remodel can begin. Your experience will be pleasant when you prepare before spending any money. Once your remodel is complete you can sit back and enjoy the fruits of your labour in the form of a functional and beautiful kitchen.